Gone are the days where award-winning work and a silver screen smile alone was enough to transform an actor into an A-lister. Nowadays, buzzworthy movie stars need to carry clout with them in the form of social media following. Let’s take a quick look at the top six highest paid actors of 2018 and their social following. *George Clooney, the Ever-Handsome A-Lister, made his money off of tequila this year. So, you can imagine how powerful a single post on these actors channels really is. One Instagram post for The Rock’s upcoming film, “Hobbs & Shaw” received over 3.5 million views in 19 hours when posted to his Instagram. Who needs a movie theatre trailer with engagement like that!? But all of the onus can’t be placed on the actors, right? Some of the responsibility for the marketing of a movie should fall on…the marketing team. There’s no greater example of an engaging, original and timely use of movie marketing on social media than the plan unfurled for Christopher Nolan’s 2008 comic book thriller, The Dark Knight. In short, The Dark Knight team concocted a scavenger hunt that melded the comic universe and real life together in truly buzzworthy fashion. From an announcement in the Gotham Times to clue-filled cake and perfectly planned accomplices, the entire stunt drummed up excitement in a time when social media was just sinking its teeth in the film industry. If you’re interested in getting the full story, check out this 2007 article from FirstShowing. Building Buzz…Or Is That Just A Swarm of Bees? Where the Internet goes, trolls are sure to follow. Movies are no exception and there are some very recent examples to illustrate that. Marvel’s latest blockbuster, Captain Marvel recently battled with trolls looking to torpedo the film’s Rotten Tomato ranking, even causing the platform to rethink its audience scoring system. The current social climate opens movies up to great criticism, whether that criticism is warranted or not, doesn’t matter. 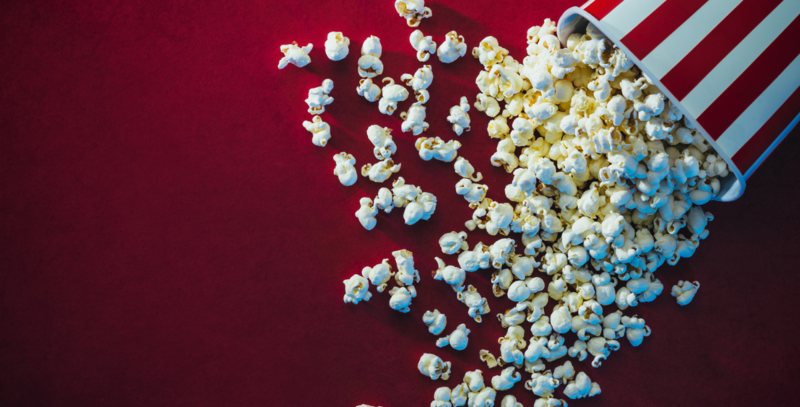 Another prime example of buzz turning into bees, albeit positively in this instance, is the blossoming role of social and digital media in the presale of movie tickets. Yesterday, the highly-anticipated conclusion to the Avengers trilogy, Endgame, began ticket sales and like Thanos did to the titular team in Infinity War, Endgame decimated AMC’s website and social media. The film became the top-selling title in its first 24 hours…in only 6 hours. This type of presale buzz and fervor no longer manifests itself in the form of folks camped out outside of the box office, but rather in the form of fingers frantically flicking through timelines, applications and mobile websites, wanting to be the first to lay eyes on the next big thing.